Are your springs tensed enough? Do you want to replace them? Our experts at Garage Door Repair Humble TX offer complete spring services and quick assistance. Is one of your springs broken? Don’t know if the problem is related to the torsion spring or not? Trust our troubleshooting service and the expertise of our technicians. We can tense all kinds of springs in Texas regardless of the type or manufacturer, and offer quick response garage door springs repair in Humble. Besides fixing a spring problem, we also remove broken or worn springs and replace them with new ones we keep in our trucks. For your Humble garage door springs repair, adjustment, installation and replacement needs, get in touch with our local business. Are you planning to change the overhead door and want to know if you should change the springs too? Did the spring snap? Did you open the door, but it won’t remain open? Let our Humble professionals help you with all spring needs. We have the experience to tell you which springs are right for your existing or new door, and offer fast garage door spring replacement and repair services. Do you need broken spring repair urgently? If the spring is already broken, contact us right away. We provide same day help when it comes to snapped springs and carry replacements with us in order to change them right away. Regardless of your door’s brand and the type of the spring, we can replace and install all springs. It’s not accidental that our professionals carry a great range of tools with them. 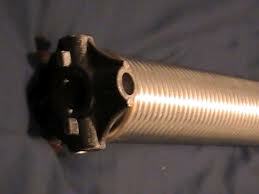 It takes the right winding bars to complete torsion spring repair services whether there is need to replace the spring or adjust it. We add and release their tension, lubricate and check them, replace their cones or shafts, examine the condition of bearings and brackets, and make sure they perform safely. Our technicians can install or replace the safety cables of your extension springs, and offer Humble TX spring services in a timely manner.